Welcome to Gods Will Be Watching. Games are no strangers to basic resource-management scenarios. It's a fundamental mechanic, albeit one that many modern games have mostly torpedoed. When Ludum Dare announced the thematic hook of its April 2013 game jam to be 'minimalism', resource-management was an easy hook for Deconstructeam to builds its game around. With five turns each day, you had to provide food and heat for your stranded team of scientists, monitor their mental health, and attempt to be rescued. But as the days passed, your choices became harder, driving you to make choices you didn't want to make to keep as much of the group alive as possible. When push comes to shove, can you make the hard choices? Do you even want to? Over a year later, and Gods Will Be Watching is back, and bigger than ever now - but not necessarily better. Expanded from a single-location puzzle-thriller, the game now features six distinct chapters, each of which will provide you with a unique situation to figure out. The first, described above, is a great introduction to the game; the second, which finds you and a companion being tortured, is punishing, forcing you to choose strategically how much information to give up, how much to withhold, and how much more pain you and your friend can take before you die. But while the scenarios are varied, creative, and mostly fascinating, the connective tissue between them is slim. Characters that die in one chapter come back in the next, which dramatically lessens the sense of consequence stemming from your choices - and once you feel like the other characters don't matter, the game has lost you. Fans of Telltale's excellent Walking Dead games will find a lot to lover here, though Gods Will Be Watching's stark, brutal survivalism is more punishing but often less affecting than Dead's core conflicts. But where The Walking Dead was all about forcing you to make decisions narratively, with little-to-no gameplay element (essentially making them 'Choose Your Own Adventure' books with a timer), Gods Will Be Watching more closely resembles the superior Papers Please, which uses its gameplay to force you to justify your own awful decisions over and over again. Both games want to challenge what you will do to survive in a system that is weighted heavily against you. But Papers Please never let you off the hook; your mistakes would slowly cascade, a series of dominoes that forced you over and over to make tougher and tougher decisions day in and day out. While Gods' individual chapters contain that quality, the overall game does not. And yet, for all its mistakes, when Gods Will Be Watching works, it is immaculate. It felt like a punch to the gut the first time my friend died because I'd gotten cocky, sure I could handle the questions directed at me by our torturer, confident I could push his buttons. And I felt a powerful unease the first time a hostage died because I kept putting off his care to deal with whatever crisis felt more important in the moment. In those moments, the game shines, but the delicate balancing act that brings us those moments is difficult to maintain. 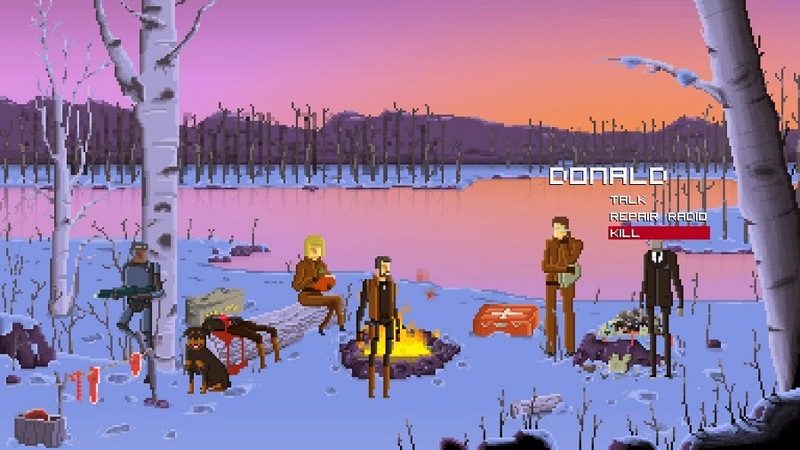 Gods Will Be Watching was released on July 24th, 2014. You can purchase it at the Steam Store or Gog for $9.99. For the purposes of this review, Gods Will Be Watching was played on an iMac.